– Are you looking for a PDF editor to edit PDF files for free or fill your PDF forms without using adobe acrobat? Here we detail a few cool methods to edit PDF files and forms! PDF is a popular file format and it is one that looks the same on Windows 7, Mac or Linux! You can thus share a PDF file with any user, irrespective of what operating system he uses and be sure that it is rendered with the formatting you used on it. PDF files can also be rendered and viewed through any browser, unlike a microsoft word document! You will have to often download and and open the microsoft word document using a microsoft word application or word viewer (or any other supporting word reader), to see it with all the formatting in place. And if you don’t have office 2007 or office 2010, you will have to further contend with converting docx to doc format. PDF files are not only compact in size but they are also neat and retain all their formatting, wherever they are opened. Majority of PDF documents are shared for reading than for editing them. PDF files are primarily designed for use as read-only documents, as “read-only” is the default option for any such file. But most forms, which need to be filled or edited are available in PDF formats these days! These include application forms, tax forms, and more. As a user, wouldn’t you prefer to fill those forms without the need to print them on paper and complete them manually? If you have adobe acrobat installed on your computer, you could edit any PDF file.Unlike the free adobe acrobat reader, the full adobe acrobat application is not something that many users install on their computers, as it has a licensing cost associated with it.It is worth buying the adobe acrobat application, if your job involves filling up PDF forms or editing PDF documents.If you are a home user, who occasionally find the need to fill up a PDF form, here are some of the best free options to edit PDF files or fill PDF forms. fillanypdf.com is a simple to use online PDF editor, with all necessary features like typing, free handwriting, signing, highlighting, redacting, printing and more. 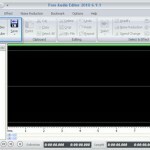 Another free online PDF editor is pdffiller.com! Like “fillanypdf.com”, it also lets you to upload and fill any PDF form and even sign it.You can then print, email, fax or export it. Though such online PDF editors can help you do some basic PDF editing functions like filling up forms, the best free PDF editing option is to convert PDF to Word, edit it using a Word editor and then convert it back to PDF using Word to PDF or Docx to PDF converters. The downside of this method is there are not many good PDF to Word converters that produce the best results by retaining all the original formatting. However, we came across one such good online PDF to Word converter – pdftoword.com. It lets you create high quality and easier to edit word files with all the formatting in place, including paragraphs, columns, tables, and margins. Even the most complicated PDF layout was rendered well in Word format! Once you convert your PDF form or PDF file to word, you can edit it using microsoft word or other free word editors.You can then convert it back to PDF using any free Word to PDF tool.If you have office 2007 or office 2010 installed, you have a built-in Save as PDF option to convert the Word document to PDF. You may argue that this is not a complete free method as you need Microsoft word installed on your computer. But there are several free word editors and you may use any of them to edit word documents.You can also download office 2010 trial for free. Here is a big collection of free PDF Converter tools that you would love to use. Best PDF Editors in 2018 - Which Is The Best PDF Editor?